Many times we find ourselves in a tunnel and we might not see the light, but I want you to KNOW that there is LIGHT at the end of the tunnel. Bad seasons do pass and you are able to get thru them safety. Here are the steps to keep moving in the darkness: 1. Believe things will change, 2. Get into action daily act like you are in the light, 3. Pray for a swift transition to the light 4. Look for signs of improvement. 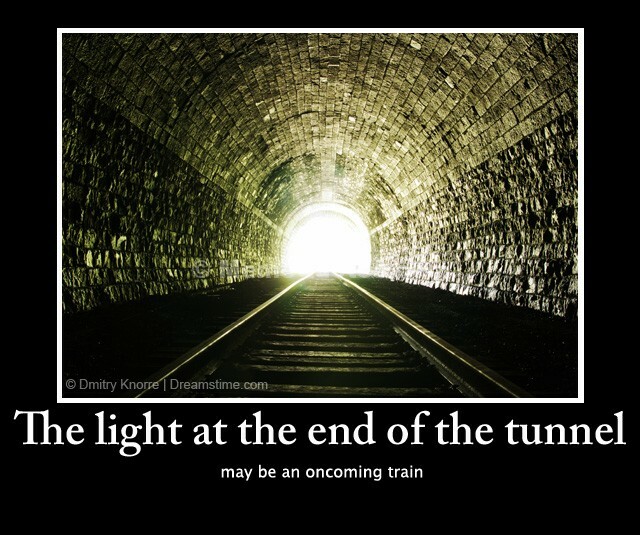 This will encourage you to believe there is LIGHT at the end of the tunnel.